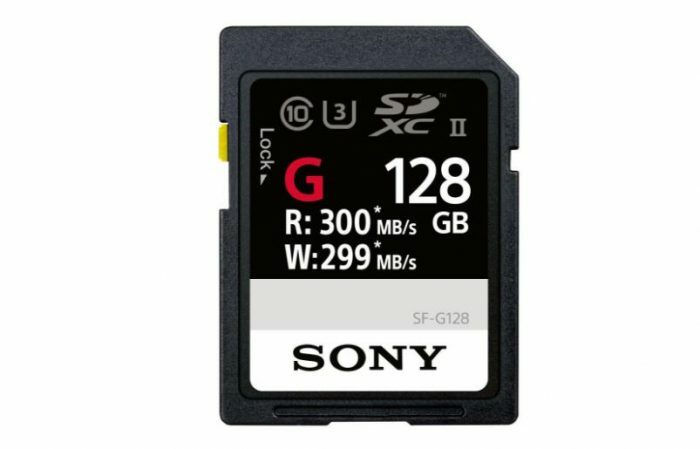 Sony Announce World's Fastest SD Cards with Write Speeds up to 299 MB/s! Sony has announced the world's fastest SD cards with write speeds of up to 299 MB/s, which should be plenty for even the most demanding 4K recording scenarios. The new Sony SF-G Series SDXC cards are planned to be available in capacities of 32GB, 64GB, and 128GB and ship in the upcoming months. The new SF-G series should be a great addition to the arsenal of those interested in picking up the new Panasonic GH5 for example, which takes UHS-II cards and is due to ship in the upcoming weeks and will receive a massive firmware update enabling 10bit 422 Intra-frame at 400 Mb/s, which will require some seriously fast cards. According to Sony, the quick write speed supports maximum performance of the latest generation DSLR and mirrorless cameras, contributing to longer continuous shooting of high-resolution images with UHS-II supporting cameras. It also contributes to a shorter buffer clearing time so users never miss a critical moment. Using Sony’s algorithm, the cards prevent the decrease of data-writing speeds and contribute to the camera’s ability of successive high speed shooting. The cards also feature a read speed of up to 300MB/s. Paired with a memory card reader, the cards can transfer large volumes and file sizes to a computer very quickly, contributing to a more efficient workflow for professionals. “As the continuous shooting of higher-resolution images and adoption of 4K video with DSLR and mirrorless cameras increases, the inherent need for larger, faster and more dependable cards becomes apparent. A longtime leader at the forefront of professional media, Sony has met these growing demands with the debut of the SF-G Series, which offers industry leading performance” said Viviano Cantu, Vice President, Product Marketing, Sony Americas Media and Energy Group. 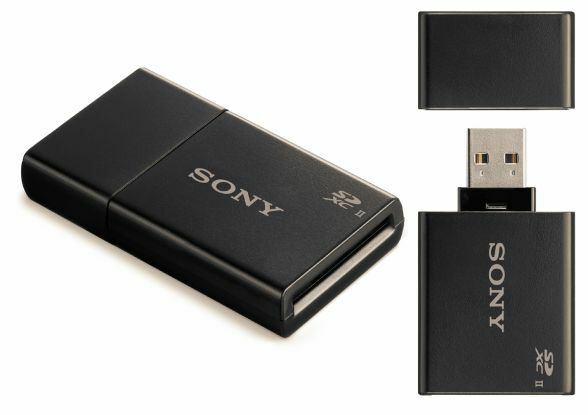 Sony is also planning a new, high speed SD memory card reader, MRW-S1 supporting UHS-II, for use with the SF-G series, enabling the fast and convenient transfer of data to a PC with a USB3.1 Gen1 Interface. The new reader is expected to ship in the Spring.